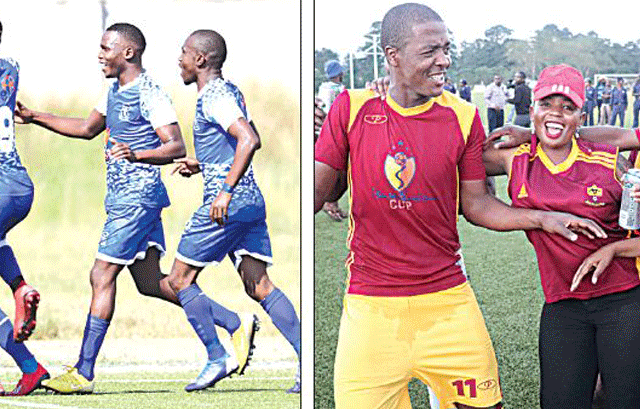 SOCCER – THE date for the much-awaited EswatiniBank Cup final has been confirmed. Young Buffaloes will lock horns with rivals Royal Leopard on May 5. The venue will most certainly be Somhlolo National Stadium. Premier League of Eswatini (PLE) Chief Executive Officer Simanga Nhleko, who is also the Secretary of the EswatiniBank Cup Management Committee (MC), confirmed the date yesterday. He would not commit on the venue yet, but all finals of the EswatiniBank Cup have taken place at Somhlolo national Stadium previously. This is necessitated by the fact that usually, throngs of people show up for the finals of the competition irrespective of the teams involved. “What has been confirmed is that the finals shall be held on the 5th of May. Other logistics shall follow as time goes on,” he said. Initially, the PLE had proposed that the dates of May 4-5 be reserved for the resumption of the league, yet unconfirmed reports suggest that the league is likely to be brought forward to mid-next week to open way for the finals. Royal Leopard beat Green Mamba 1-0 in the semi-finals at the King Sobhuza II Stadium in Nhlangano on Sunday. Young Buffaloes won on penalties to eliminate Manzini Sundowns at the same stage. The teams were tied 0-0 in regulation time, but Buffaloes won the shoot-out 4-2. The Under-20s final between Tambuti FC and Manzini Sundowns will also take place on the same day as the main finals, coupled with the women’s Cup final between Manzini Wanderers and Young Buffaloes. Both Buffaloes’ males and females’ teams will be seeking to defend their trophies following victories in last year’s competition. One of either Buffaloes or Leopard will walk away with the grand prize of E1.1 million after the final.